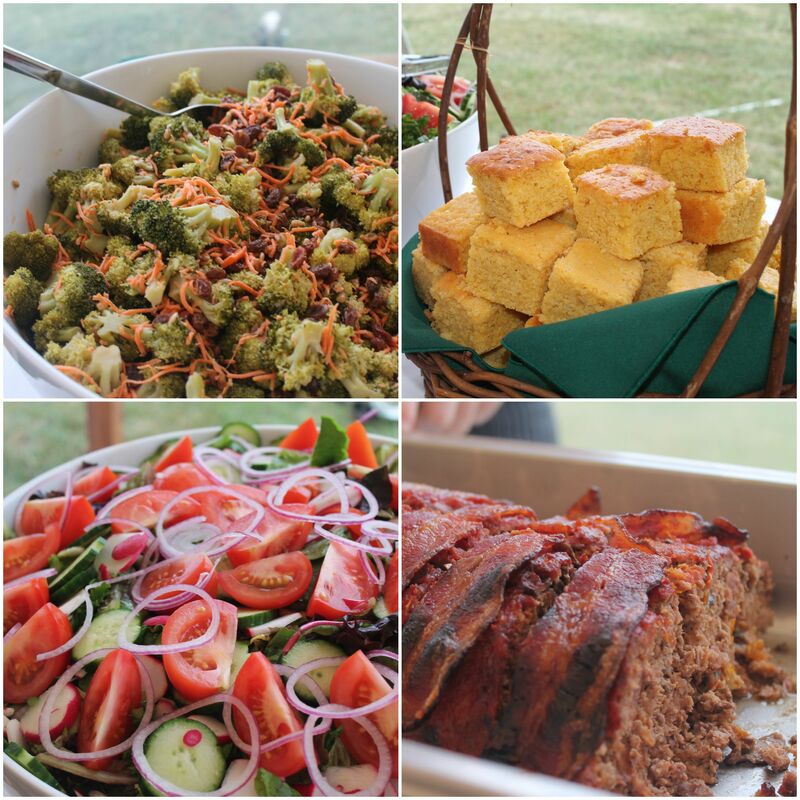 One of my favorite events every year on Martha’s Vineyard is Meals in the Meadow, that takes place at the FARM Institute in Katama on Martha’s Vineyard. Typically fundraisers are boring and not the type of events I tend to attend. But The FARM Institute‘s Meals in the Meadow annual event is a tradition that’s been going for 15 years strong and is one of the funnest events on island during the summer! I’ve attended the past four years and every year the food is better and more delicious than the year before. Island restaurants come together to showcase some amazing food, as well as local brands and shops put together a silent auction unlike no other, with some great experiences to bid on, all while supporting a great cause. Cocktails & hors d’oeuvres this year featured local fare donated by local restaurants including 7a Foods, Beach Plum Inn & Restaurant, Honeysuckle Oyster Farm, Lighthouse Grill, Offshore Ale, Scottish Bakehouse, Sharky’s Cantina, and others. Buffet dinner catered by Buckley’s Gourmet Catering featuring FARM Institute meat & produce as well as other island farm’s produce. Looking to donate to The FARM Institute’s missions? Check out their donate page online. Even if you can’t donate monetarily, consider volunteering. While volunteering at TFI you will be working in a dynamic farming and teaching environment. Here you will interact with teachers, students and experienced farm staff, and be encouraged to particpate in ongoing education and agriculture projects. Learn more here.